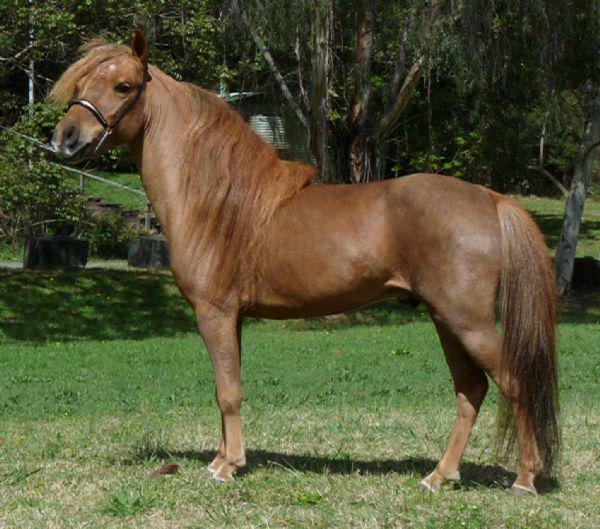 Legend is a true horse in miniature with incredible presence and simply outstanding movement. Legend passes on his outgoing nature, presence and movement to his foals. 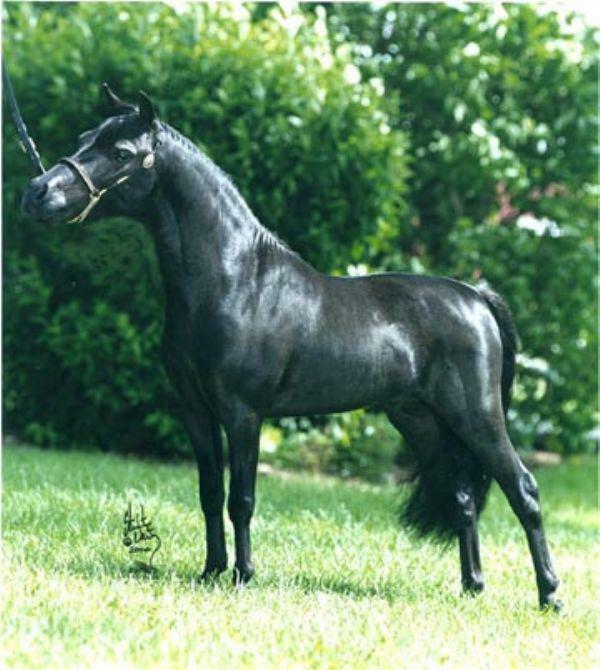 Legend's sire is Fallen Ash Farm's Scout's Irish Luck, an exquisite, refined, Arabian-type stallion, 31.25" tall with a magnificent head, long clean neck and balanced conformation. He has graceful, animated movement and a natural presence. 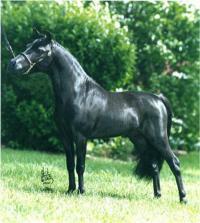 Irish Luck won 26 Grand Championships and 8 Supreme Halter Championships during his show career. He won 5 AMHA (USA) National Top Tens and 7 Top Ten Honor Roll Awards in both Halter and Color classes. Irish Luck has been awarded the titles of AMHA Champion and Superior Halter Horse. He also has been awarded the AMHA Register of Merit in Open Liberty and Solid Color Stallions and Geldings. 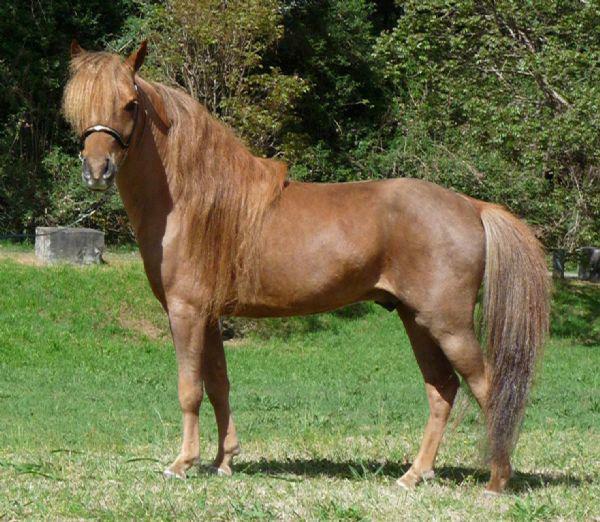 Irish Luck's dam is Reserve National Champion Fallen Ash Farm's Irish Rose and his sire is L & D Scout, one of the AMHA?s Top Ten All-Time Futurity sires. 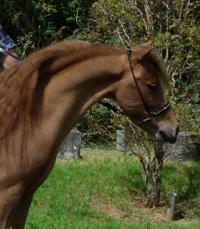 Irish Luck's grandsire is the legendary Orion Light Van?t Huttenest. 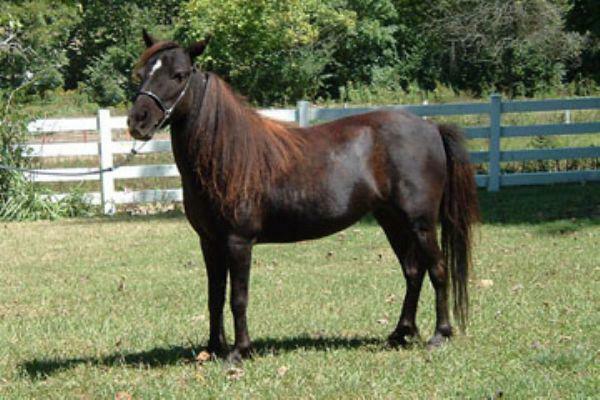 Legend's dam, Sweetwater's Black Lady is a 32.75" elegant, refined mare with a sweet, gentle disposition. Photos of both Irish Luck and Black Lady are included on this page.